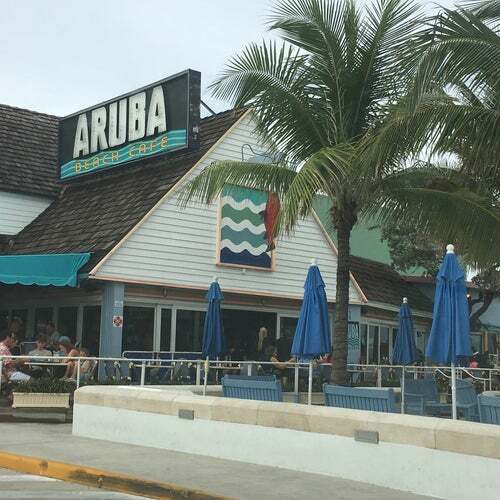 Nestled in the swaying palms of the beach, Aruba Beach Cafe is a reminder of the Caribbean. A causal bar and restaurant with lots of locals. If you are looking for beach side dining this is the spot to go. Don't hesitate to use the valet for parking, it very difficult to find a parking out at the beach, it's worth it. It's a busy place, sometime live music inside, warm and breezy on the outside patio. I had the fish sandwich which was hot and tasty, my partner had the cold seafood platter, which was amazing with oysters, lobster, shrimps, etc, a huge meal with a beautiful presentation. Wait staff is very knowledgeable about the menu and ingredients, they were friendly and helpful both times I was there.